Located off the Mumbai-Ahmedabad highway, Bordi beach is close to Dahanu and only a six hour drive away from Pune. It’s a quiet sea-side hamlet, untouched by commerce. Tall palms sway in the sea wind all day and houses big and small with front fruit gardens make it a perfect setting for a weekend away from the bustle of Pune. Bordi beach is a small hamlet complete with a local bazaar. You’ll spot a bhel puri house here, a tea stall there and town folk whiling their time away, curiously looking as you drive by. The entire beach stretch from Dahanu to Bordi is not just safe, but also gorgeous enough to make you forget your camera and simply absorb it. It has a backdrop of various fruit orchards, but mostly chikoo. The black sand beach is rarely crowded. 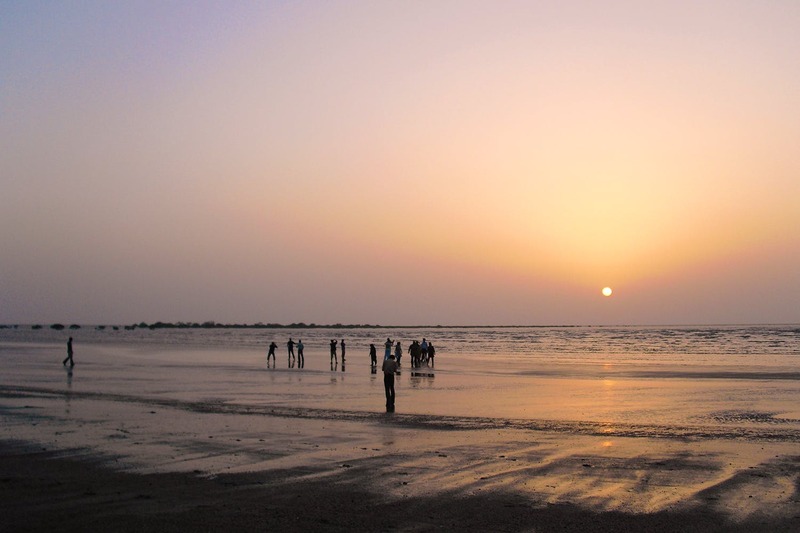 It’s a common weekend getaway from Mumbai as well, but most stop at Dahanu beach instead. A few stalls hug the beach and so it’s relatively cleaner. You can eat the local cuisine, which obviously includes typical Malvani thalis. Your plate will have aromas and flavours of coconut, kokam and of course, fried fish. Drink up several glasses of sol kadi that’s going to be more authentic than a lot of versions in Pune. The town is quaint and very small and while that may mean that you’ll run out of things to do, wear your thinking cap. Out of our bucket list of things we could do if we find a quiet beach, a beach picnic tops the list. You can carry a picnic basket full of sandwiches and snacks, sip hot tea courtesy of one of the stalls along the beach. Don’t forget to pack your beach towels to sit on. And when it’s time to take the plunge, run into the sea. That’s always fun! The water at Bordi is only waist-high for about half a kilometre, so you needn’t worry about getting swept away. But of course, always be careful. You'll also find resorts for different budgets if you wish to spend the night in the town. You can also drive to nearby Dahanu fort if you want different views and sample local history.